Have your Mini Picasso join us for a morning, afternoon or both at TEAC for a week! 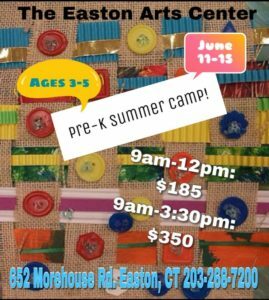 Your Mini Picasso will learn the basics of art through interactivity and tactility while having fun painting, splattering, sculpting, mixing, building and creating combined with some outdoor fun. Dress for a mess. For ½ day, please pack a nut-free snack. For full day, please pack a nut-free lunch and snack.